Now you are probably thinking that’s a little over the top, but I would like you to get used to the idea that your website should be at the centre of your business, not a just a side shoot. I’ve seen so many websites where the owners run the most amazing businesses, but their website design simply doesn’t reflect that. Usually because it’s been built 3 years ago and nobody’s got round to update it or can remember the login details. Wishing your customers ‘Merry Christmas’ still in March is not the best way of advertising your business as is having outdated content or products showing constantly out of stock. There are also updates that are less visible, but even more damaging if not done. One of my web designer friends has recently worked on a website where the wordpress, theme and plugins were not updated in 2 years. He was surprised that the website was still ‘alive’! 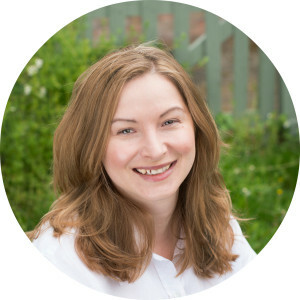 Sometimes people ask me ‘Can you do my SEO for me?’ and depending on who they are I try to politely explain, that yes, ‘I can do your SEO’ but it won’t work indefinitely unless it’s updated and worked on every single month. 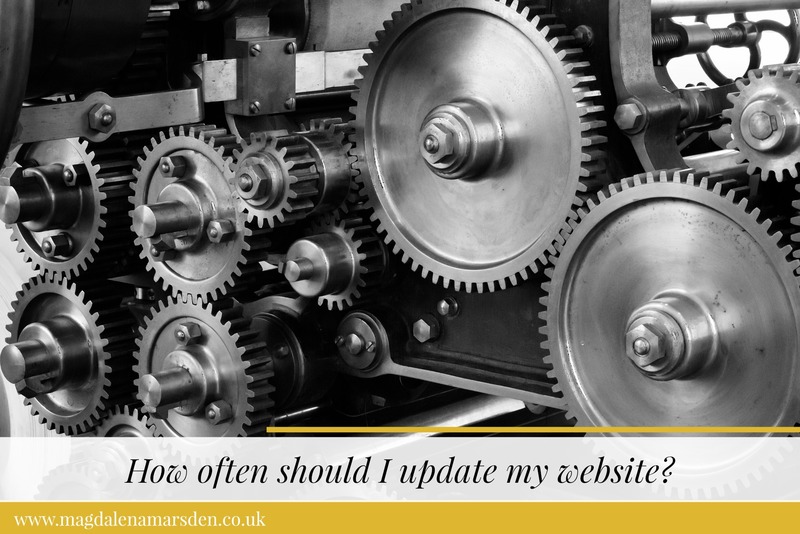 So, even if you don’t update your website every single day, there are things you should consider updating on a regular basis. The following list is the most basic list of events that should trigger a website update (or checklist of actions you should take). Update content every time, when you get several enquiries about the same thing. It clearly means that your customers can’t find the information they are after. Re-write the content or make it more obvious (bullet points, graphics, turn it into a separate page etc.). Review your top menu and change it to suit your business and any special season. We keep most of our websites development in-house, so my job is to update plugins, back ups and themes every week (or as often as there is a major update), any changes to content as and when it’s needed with blog posts going out on various websites most days. SEO updates are a bit more time consuming, so I like to have a whole day available to review the website and make any changes perhaps on a monthly basis or more often if I have the time. Scary? Too much? Too little? 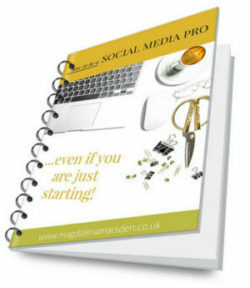 If you are now panicking that you need to be ‘doing something with your website every single day’ then don’t! Set a time to do your first website review and then every time you upload a blog post or need to add a new product, check the website at the same time. Update plugins, check that your links are working in the right places or see whether your navigation menu is still the best way for your customer to get around your website. Every time do a little bit and it will soon become second nature and your website will get updated at the same time! And as ever, I like to know what you think – so leave me a comment in the section below and I look forward to reading them all. Have the next one delivered directly to your inbox by joining my forthnightly newsletter. I liked your first answer “every single day”! Great tips in here. :), And what advice do you have for the people that think changing a comma every day is “updating” their website Magdalena? *runs for the hills*. Great check list Magdalena. Thank you! A great post with ideas that could actually “shock” some business owners! This checklist is a valuable resource to get people thinking about their website. Thank you!